This was John Ford's first feature-length talkie. It opened in May, 1929 as sound rolled like tanks over a silent era headed for extinction. The Black Watch used Fox's "Movietone" process, which recorded dialogue on film rather than disc, a system more reliable for synching up voice with picture, but harsh pill otherwise due to hissy playback and noise on tracks. Delivery side of Movietone was often worse, theatres reporting inaudible words and surplus racket to make watching a chore. Audiences were patient, though, as novelty outweighed annoyance, and progress could be seen (make that heard) with each fresh engagement. The Black Watch would play off, be recognized as brief mile along a learning curve, and then forgot by its owner and creative participants. 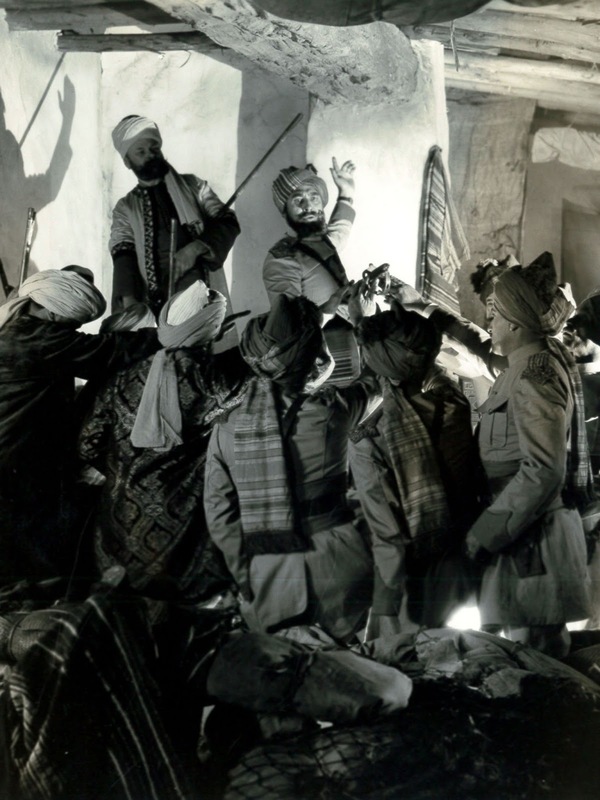 John Ford had little to say of it that was good, The Black Watch amounting to initiation more embarrassment than success. Based on years of non-access, most would have agreed with him. 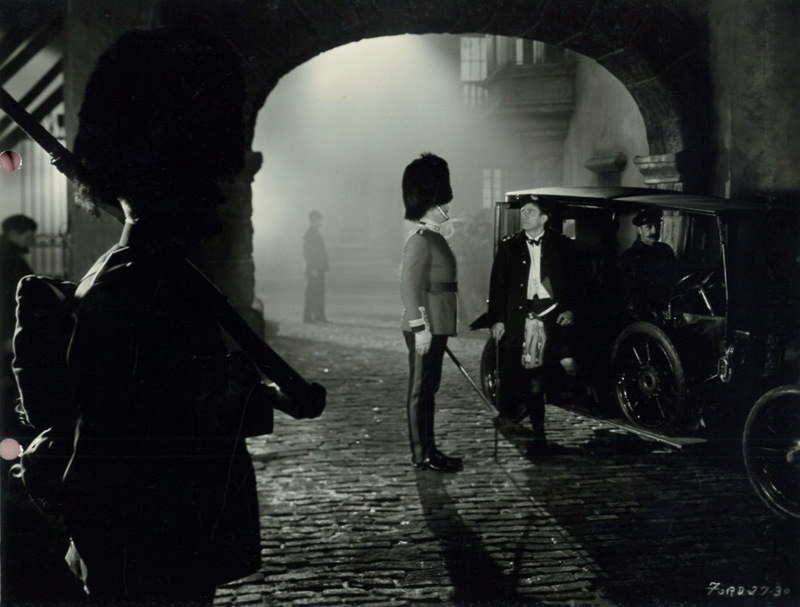 All I had seen of The Black Watch was in a Kevin Brownlow profile of early sound that used clips to demonstrate stone age of initial talkers. 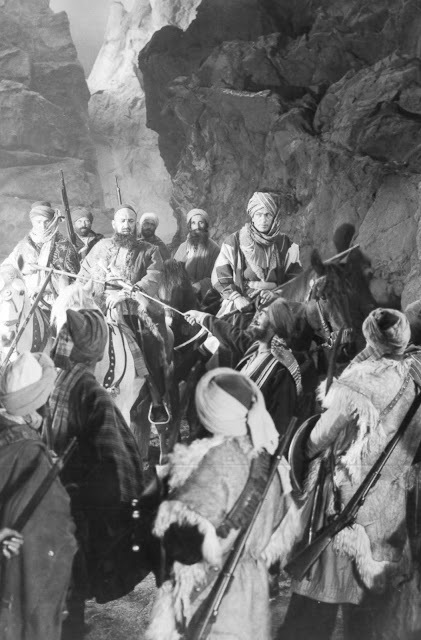 Sample of a tribesman pushing another off a precipice while chanting "Allah, forgive me" put The Black Watch on a short list to watch for, but who'd play it? 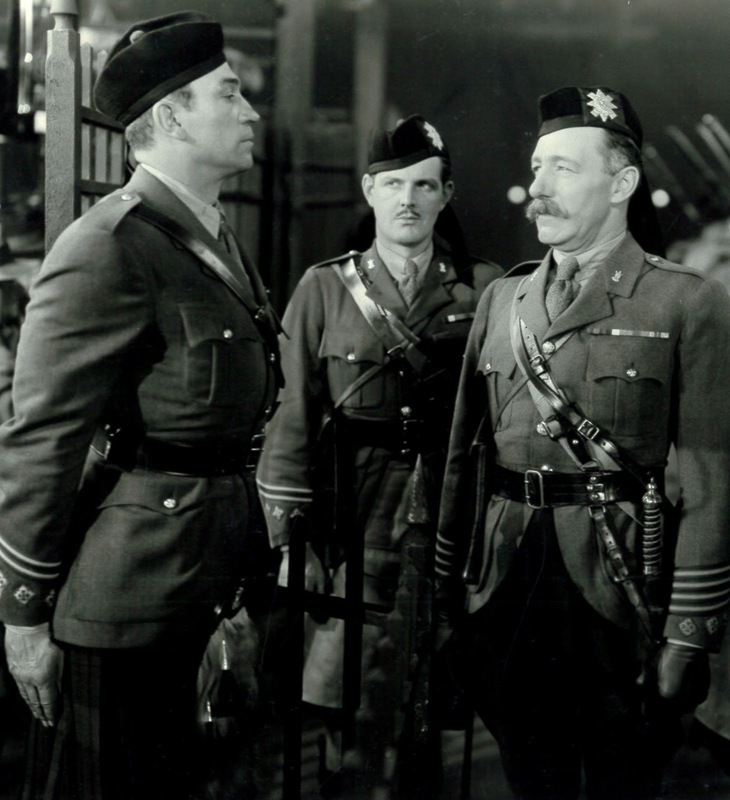 (not television as I could find) Now, however, comes happy surprise of The Black Watch streaming at I-Tunes, what's more in high-definition, part of Fox's initiative to put backlog at disposal of fans who'd given up seeing these outside archives and far-flung revival. Quality is as good as surviving elements permit, which is to say variable, but for a most part, OK. I was thrilled to have the thing at all, a best attitude to keep where dealing with any rescue from the mostly-lost library of Fox Film Corporation. 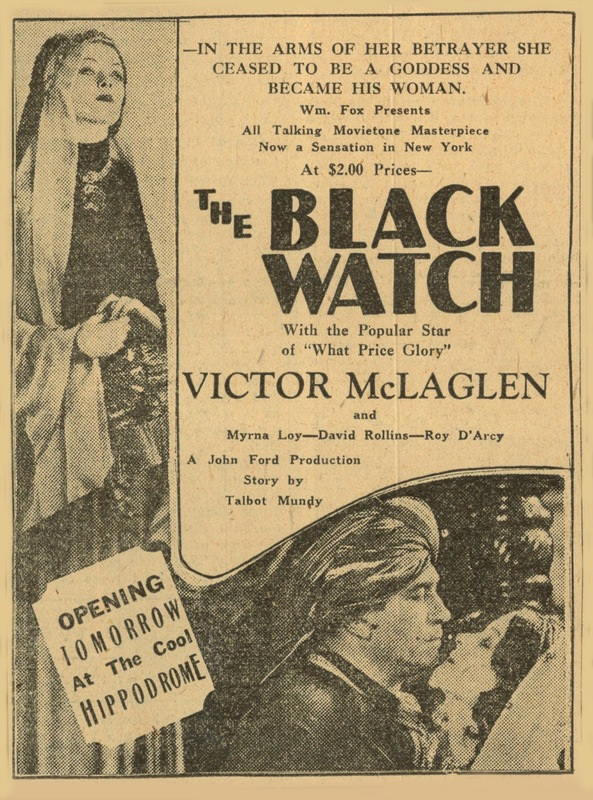 The Black Watch was novel-based with a compelling, if familiar premise, officer Victor McLaglen thought a coward when he goes undercover in India rather than joining his regiment in Europe's Great War. 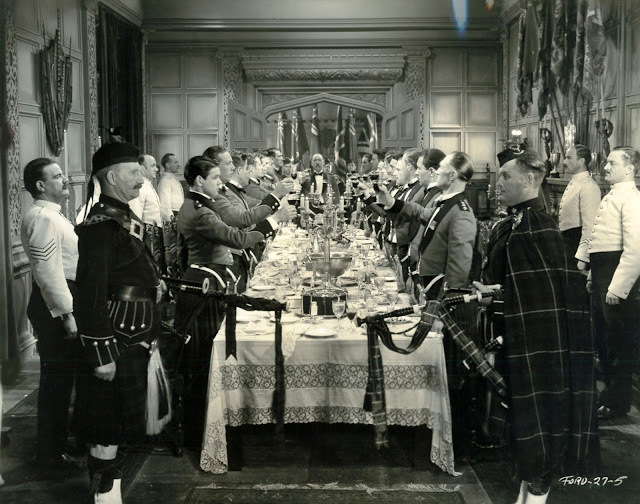 There is much of command ritual and mess protocol, McLaglen at one point taking (much) time to load and light his pipe as bagpipers accompany mealtime for comrades-at-arms. Some have complained at preponderance of the bagpipes, and yes, they play aplenty throughout The Black Watch, at meals and in battle, but consider novelty of these in 5/29 when The Black Watch was new (and trade-sold as "a masterpiece of melody and dialog"). I'd venture this was a first time such instrument was heard on film, unless a Movietone newsreel or Vitaphone short got there first. Then there was fact of bagpipes registering loud and clear on a soundtrack, unlike dialogue subject to hiss and distortion. Who knows but that pipers were a most memorable aspect of seeing The Black Watch in first runs. The film was completed by John Ford as a part-talkie, then re-shot in part per studio dictate so as to sell result as all-talk. Revisions were "Staged" by character actor Lumsden Hare rather than Ford, a circumstance decried later by the director, who said he "wanted to vomit" after look and listen to what Hare had wrought. These dialogue portions are an ordeal, lines slow-recited with pauses to induce sleep, but problems with Movietone were understood by Fox brass, likely result an order to ease tempo so each word would register. Better to field complaints over pace of talk than talk not comprehended at all. Whatever the effort, some of it was at least done right, as The Black Watch took a million in worldwide rentals against $490K negative cost. Broadway's Gaiety Theatre was host at $2 for best seating, The Black Watch playing tandem with Movietone appearance of Sherlock Holmes-creator Arthur Conan Doyle (Gaiety ad at top), a reel lately included as extra with Flicker Alley's Blu-Ray release of Sherlock Holmes starring William Gillette. UPDATE: 1/7/16 --- An ad plus announcement I came across for Cleveland's opening of The Black Watch, "Now A Sensation In New York At $2.00 Prices." Here was residual benefit of two-a-day Gotham runs at advanced rate. They created impression of a biggest attraction for patronage down the line. Clevelanders would figure it a bargain to pay popular prices for what commanded $2 on Broadway. 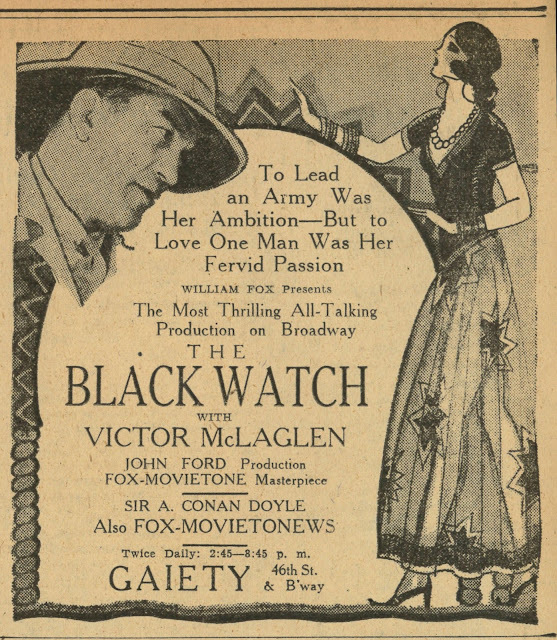 Further evidence then, of The Black Watch as highlight of Fox's spring-summer 1929 schedule. Note also Cleveland's Plain-Dealer amusement page (left) featuring The Black Watch, accent on the Scots theme. I had to look up a few of these terms: "Brae," as in Brae Highlander here, means "a steep bank of hillside," while "Hoot, Mon" translates generally to "Hey, man," or words to that effect. Anyhow, I'd assume there were transplanted Scots to Cleveland who understood then, even as I need Google search to translate now. First films are always interesting for their use of the medium. Lang, in M, uses sound as he never would again. The same with Hitchcock, Von Sternberg abd others. Too bad Von Stroheim never got to make a sound feature. BLIND HUSBANDS was to be remade in sound but the plug was pulled.For that reason I'd like to see this. I remember that clip in the Brownlow documentary. Like you, for that alone I wanted to see it just to experience what it was like when newly-released. 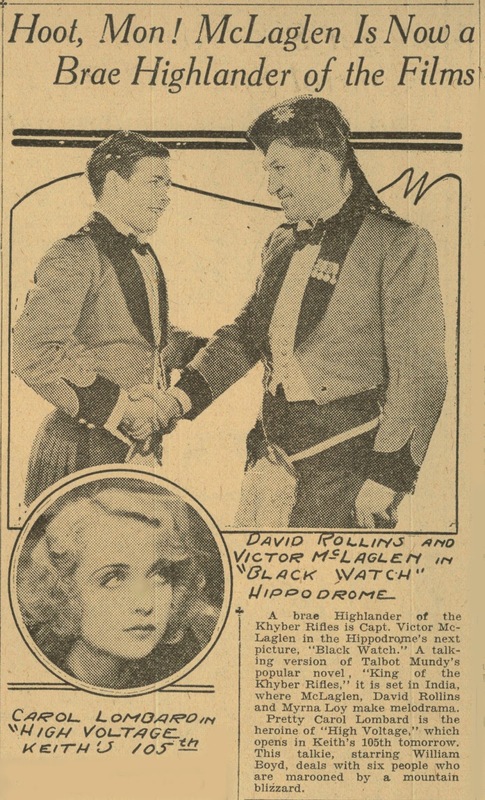 There is a still showing a trim and fit Victor McLaglen, nine years removed from his last prize fight and a life of adventure that would have beggared the credulity of a Tom Mix, even if he'd been talking about himself. As a teenager, McLaglen enlisted in the British army to fight in the Boer War, but was mustered out after his true age was discovered. He then joined his older brothers in Canada, becoming a lumberjack, prospector, and trainer in a gymnasium. When his brothers formed an acrobatic troupe, The Romano Brothers, he was a member. He was also a circus strong man and operated a boxing booth, offering $25 to anyone who could last three rounds with him. From time to time he wrestled and boxed professionally, sometimes under the name "Sharkey" McLaglen, finally compiling a boxing record of 11 wins, six losses, and one draw over a 14 year career. 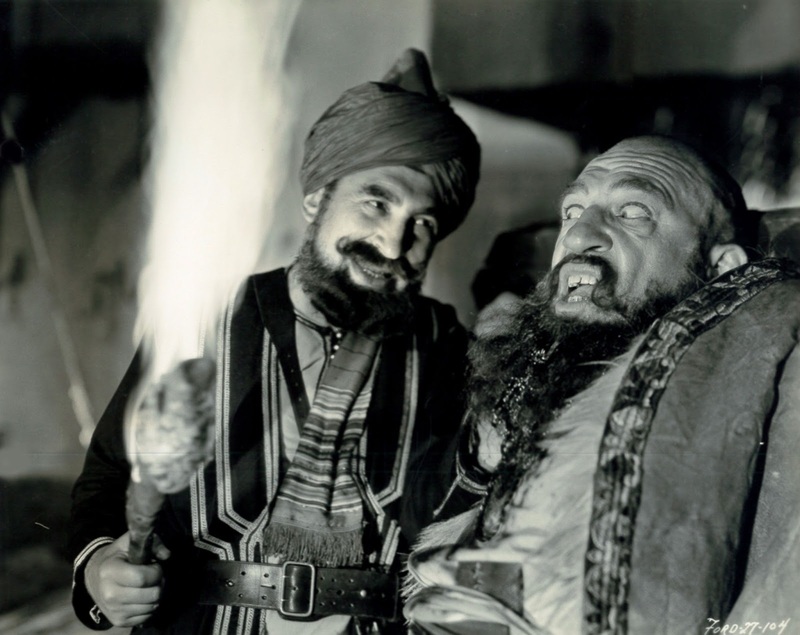 McLaglen was six feet three inches tall and heavily muscled, fighting at a weight of around 196 pounds. Photographs from the time show that he had a tremendous physique, but boxing for him was just a way of picking up the odd dollar, hence the spotty record. When he was recalled to the colors during World War I, he became Heavyweight Champion of the British Army in 1918, his most noteworthy athletic accomplishment, and also served as Assistant Provost Marshall of Bagdad, which suggests his intelligence and ability to lead men. Fans of boxing, however, will be interested in knowing that he fought a six round exhibition in Vancover in 1909 against the legendary heavyweight champion, Jack Johnson. This was Johnson's first public appearance after winning the title from Tommy Burns, while McLaglen only had five professional fights at that point, so he was far out of his class. He went the distance, but he might have been an ambulatory punching bag, so far as Johnson was concerned. Or as MacLaglen explained later, Johnson couldn't knock him down but he certainly beat the "bejeezus" out of him. In 1911, as "Paul Romano," he fought a four round exhibition against Jess Willard, who would become champion himself after knocking out Jack Johnson in 1915. 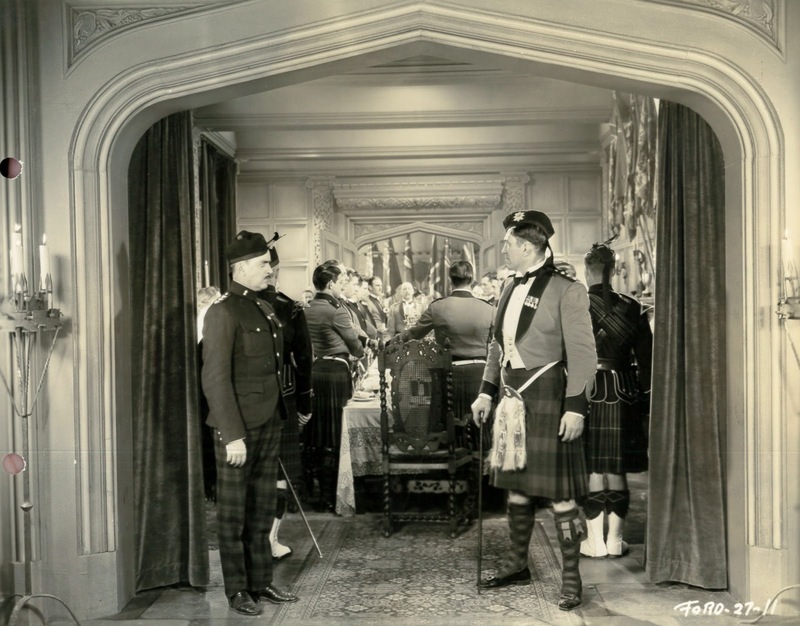 Out of the service again, MacLaglen had three more prize fights in 1920, but parlayed his military boxing laurels into a starring role that year in "The Call of the Road," directed by A. E. Coleby, about a disowned nobleman in 1820 who becomes a boxer. After that, it was the movies for him, which profited from a blustering style not too far removed from that of the man himself. It's a footnote (but still worth noting) that that tribal chief who casually pushes a man off the cliff is none other than Laurel & Hardy's future nemesis, Walter Long. Yes! And I was delighted to see Walter turn up, an old silent screen heavy given speech at last.